With Cartier’s new Tank Solo Steel W5200018, Cartier has attempted to mix old with new. 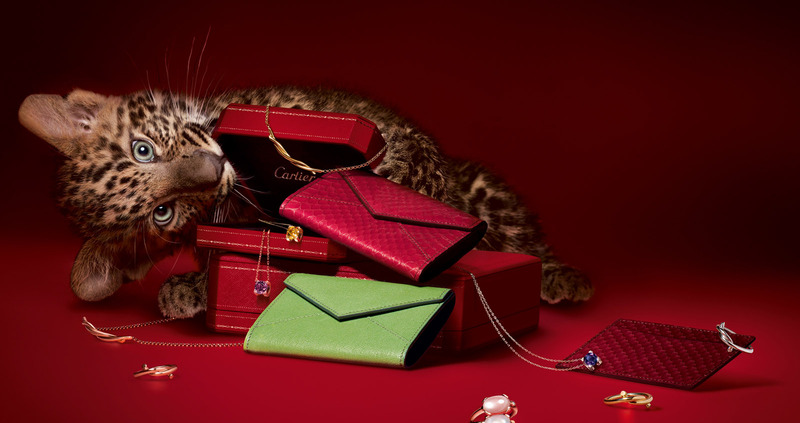 On one hand Cartier has built its own unique style that have set them apart, as a quality classic watch designer. On the other, they have added to this watch a sense of modern style. This Tank Solo Steel by Cartier has a square case. The dial has it’s signature roman numerals, but rather than in its usual design, it is off-centered, and at an angle. It gives the impression that the dial itself is an image of another dial. Practically speaking, the numbers don’t match up well to their proper place for the hands. Between 9 and 12 matches up, but nothing else really does well. This means that telling the precise time is going to be difficult. 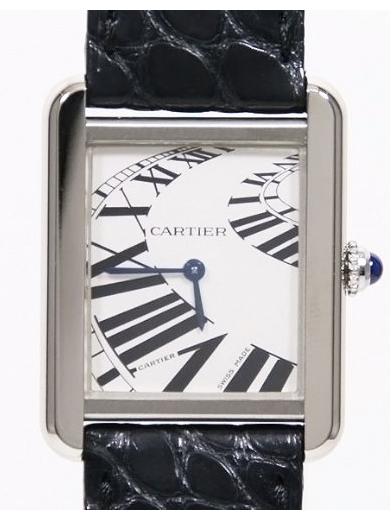 Really it has features of a classic Cartier watch, but it is a modern style at heart. What this is then is a modern styled watch that pays homage to Cartier’s history. It is a modern watch that appeals to a sense of classic style. However, on a classically styled watch the features are made simply and elegantly. The self-reflective style of this watch makes it indistinguishably modern. Identifying what sort of look this watch is supposed to give you is difficult. With traditional Tank watches it is clear: with the roman numeral hour markers, and silver dial it is made to give a timelessly elegant look, which is formal. This watch could be worn with a formal look, but it is not the same; it is modern high fashion, and there is nothing wrong with that necessarily. Having something fun to wear is enjoyable, and gives the individual a watch that really stands out. So, should you buy this watch? It depends. The appeal for most luxury men’s watches is that they: 1) are simple, classically elegant and/or 2) have useful and cool features. Strictly speaking this watch has neither. The appeal is a modern look to a high quality and elegant watch. If the look of this watch appeals to you, then by all means get it. It is finely crafted, and is sure to be accurate. In addition it is sure to last; the Tank name is known for its tough, yet stylish watches. With a price around $2,500 this is an expensive watch. It is overly expensive when you realize that there are no exceptional features, or materials that would call for such a price. If you really like the look of this watch then you will be very happy with it, but otherwise I would recommend one of the other, more traditional Tank models.